Designed by Seoul-based design studio Atelier Sohn, the minimalist T Lamp is an interesting take on one's reinterpretation of figurative characteristics. 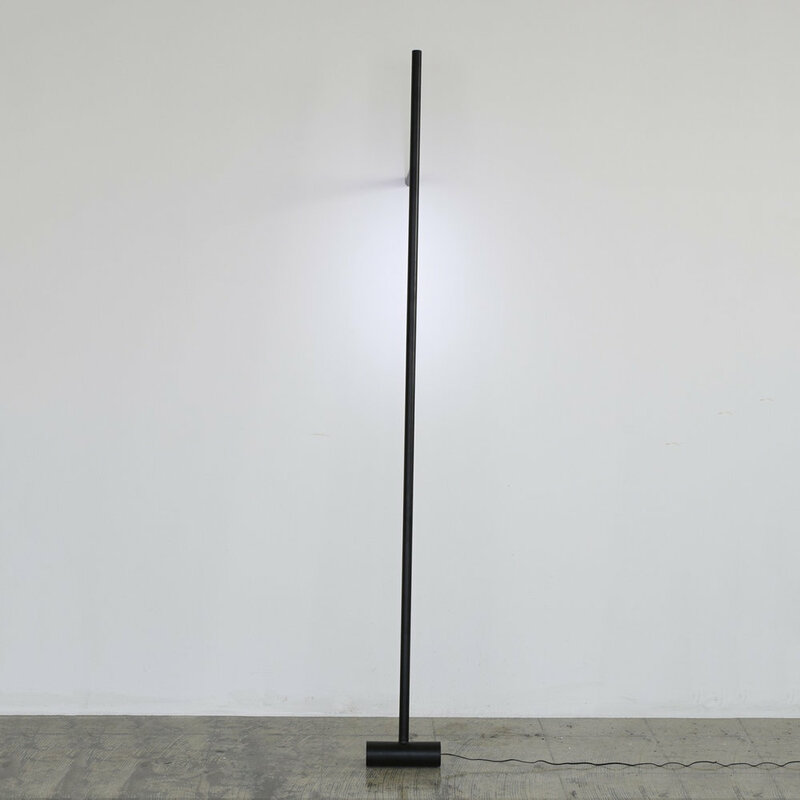 In this case, the capital T has been transformed into a floor lamp which provides the user with an array of possible postures such as against the wall, laying on the floor, or used as a mood lamp anywhere they'd like. The lamp has been weighted at the cylinder-shaped base providing a supportive frame. The lamp has been constructed through traditional techniques such as laser cutting and welding powder coating to create a wonderful piece that fits elegantly into a modern environment.